Harwich Clergy Association Easter Sunrise Service on Sunday, April 21st at 6:30 am. Park at Bank Street beach lot and walk to the Winstead Beach House Inn on Bradock. Easter Service at HUMC April 21st, at 9:30 am. Join in the celebration of Easter with us. 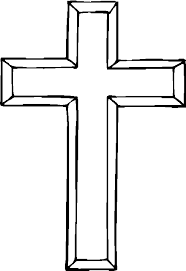 Watch as the children will again use flowers to decorate a wooden cross fashioned from Christmas Tree trunks and carry it to be placed on the church lawn.